Does your sofa steer with two fingers? The famous plush ride and super-boosted steering of the DS are only two items on the vastly long list of technical innovations that so impressed visitors to the Paris Motor Show in 1955 that 12,000 people whipped out their wallets right there on the first day, followed by another 68,000 by the end of the show! And the car was expensive! “Beautiful” would not have been the dominant adjective then, rather the attraction was that the Goddess (Déesse) was utterly without equal. Its very otherworldliness, the whole futuristic Jetsonesque package put it outside any known frame of reference. People calling it a “spaceship” was apt (even if it still had a starting handle! ); nothing even remotely looked like it or did what it could do. To appreciate just how forward-thinking Citroën’s design bureau under André Lefebvre and Flaminio Bertoni was, realize that ideas for the DS were first kicked around as early as 1936/39 when the decidedly prewar Traction Avant was the banner car and plans for a model on the totally other end of the spectrum were being made, the Spartan 2CV. Imagine what satisfaction it is for a designer to be able to work on such disparate assignments concurrently. Corporate planners, on the other hand, favored a much more conservative direction for the DS project. Even though this book is light on the narrative, it touches upon all these factors. 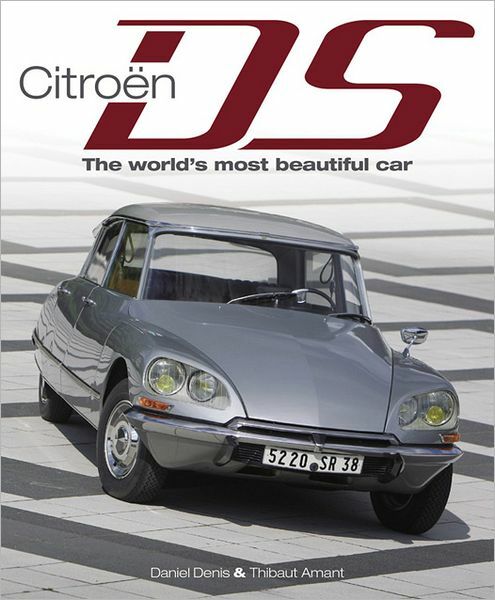 Ever since the second volume of this two-parter appeared in 2010 we had been thinking of reviewing it, even if it was only available in French (Citroën DS: La passion continue which had followed the 2005 title Citroën DS: 50 Ans de Passion, both by ETAI). 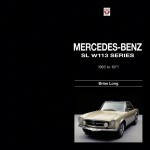 Now that an English edition of both books is available (there is also a German one, Citroën DS: Porträt einer Göttin by Heel) it’s high time to take a look. 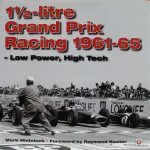 The English edition not only combines two books in one, it actually contains more material than the French one because translator/editor Jon Pressnell, a UK automotive writer (including his own Citroën DS, The Complete Story) and contributor to Classic & Sports Car magazine, added data and rewrote many of the photo captions. The existing literature on the DS is voluminous—the authors know this and intentionally went a different way: photos and an emphasis on specials. 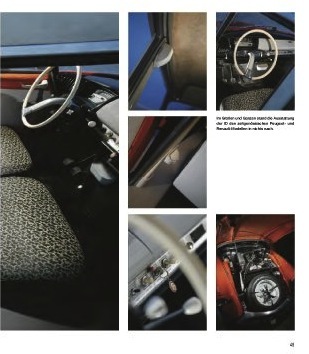 Where in other books the photos are rarely more than generically suitable to the text, here they are specifically chosen to offer the widest representation of correct trim, fittings, and colors and also to play up the car’s lines and character. Denis has been an automotive photographer for 25 years and his sensitivity for the subject is clearly evident in his often inspired choices for backgrounds that complement the specific model being discussed. 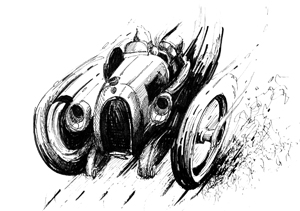 Amant is a classic car journalist with several books to his name. Following the summary of the genesis of the DS which includes a number of design drawings that show the evolution from the early Tatra-like teardrop shape the book is divided by series, including the cheaper ID submodel (same body, less power, fewer gadgets) introduced in 1957. Each is introduced with about 2 pages of text and then draws on a plethora of photos to bring home the pertinent points, from the earliest known survivor (unrestored!) to cars that are surely restored (or uncommonly well preserved). The captions are extraordinarily specific, down to describing bolt patterns and finishes and materials. Restorers and potential buyers will find this immensely useful. 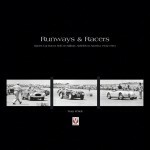 Almost half the book deals with specials, be it the factory cabriolet or estate (station) wagon or coachbuilt variants including state, competition, and utility bodies. Try finding exotica such as the Frua-designed Bossaert GT and cabrio or the Michelin PLR 10-wheeler, the Tissier breakdown truck, or the double-rear axle motorvan elsewhere! That Denis was actually able to photograph all of them is nothing short of astounding. 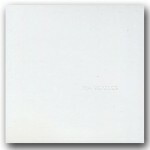 Visually, this book is without equal. Appended are a survey of the British-built DS/ID and tables of model year changes livened up with period promotional photos, and brief specs by model. No Index. It’s probably worth explaining that the “most beautiful car” accolade is merely a magazine tag (Classic & Sports Car, 2009), not some universally agreed upon classification even if it did poll a jury of the world’s leading car designers. The DS won due to the rank-by-preference polling system used. 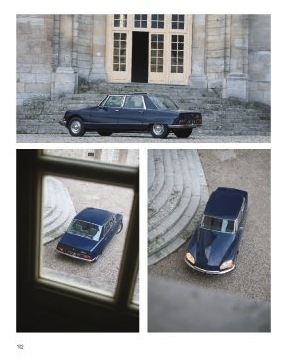 Rather than being everyone’s top choice, the DS was the car that most designers voted most highly overall. At the end, the jury itself was surprised who had won!